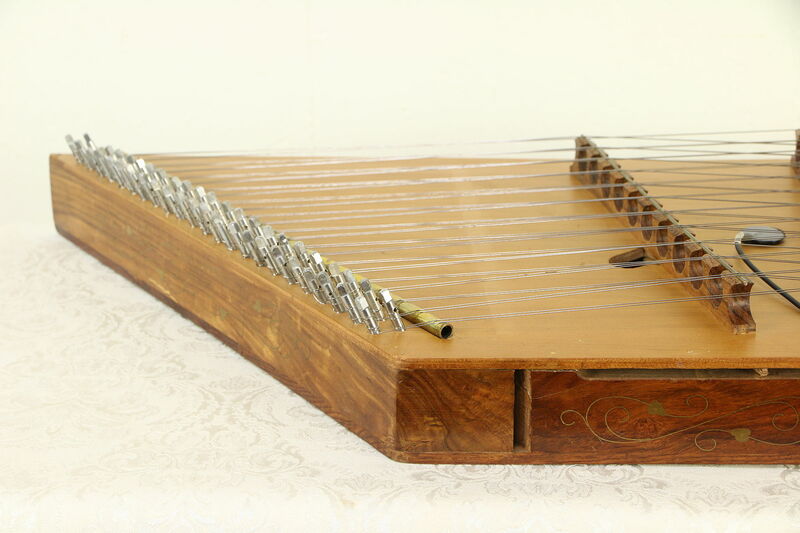 A hammered dulcimer is about 10 years old, the canvas case is signed by famous Seattle music store, "Dusty Strings." 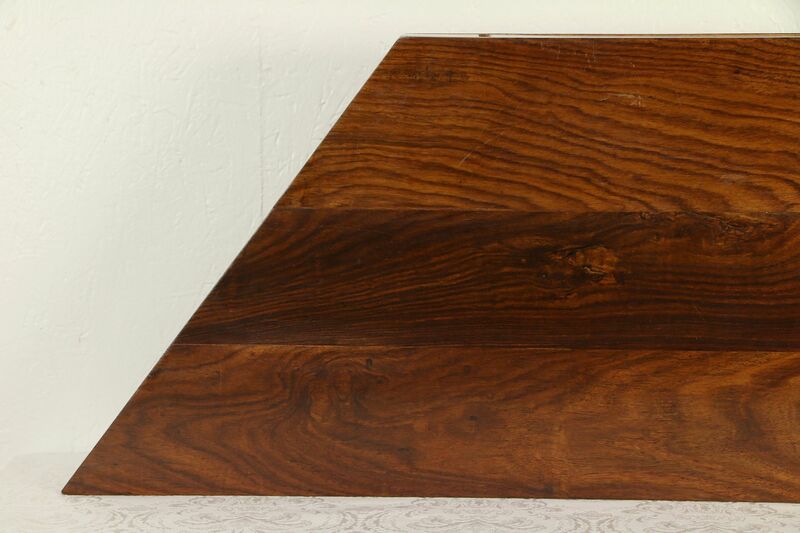 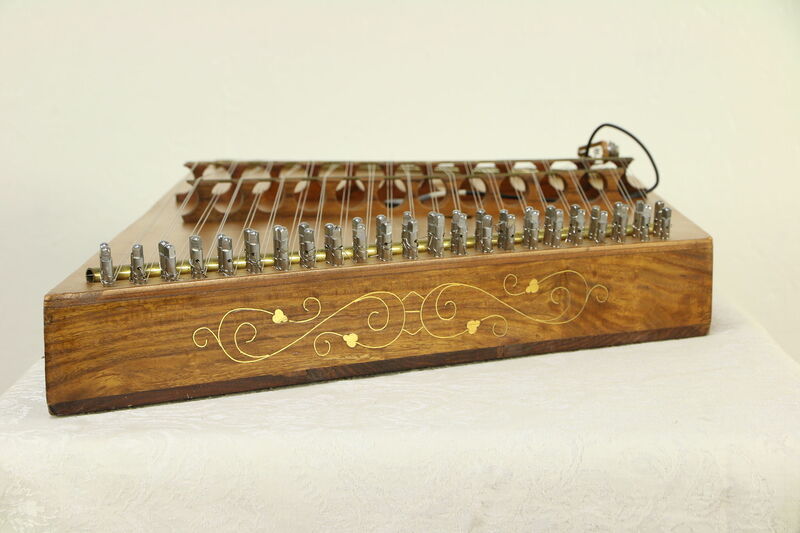 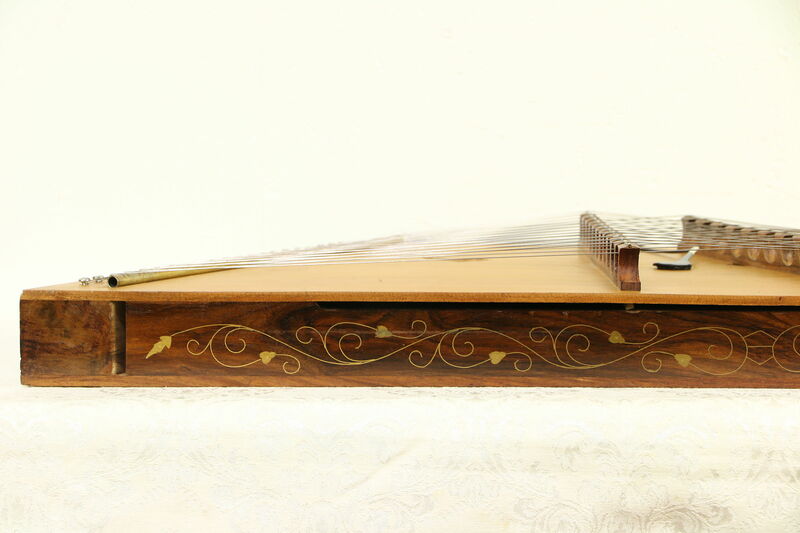 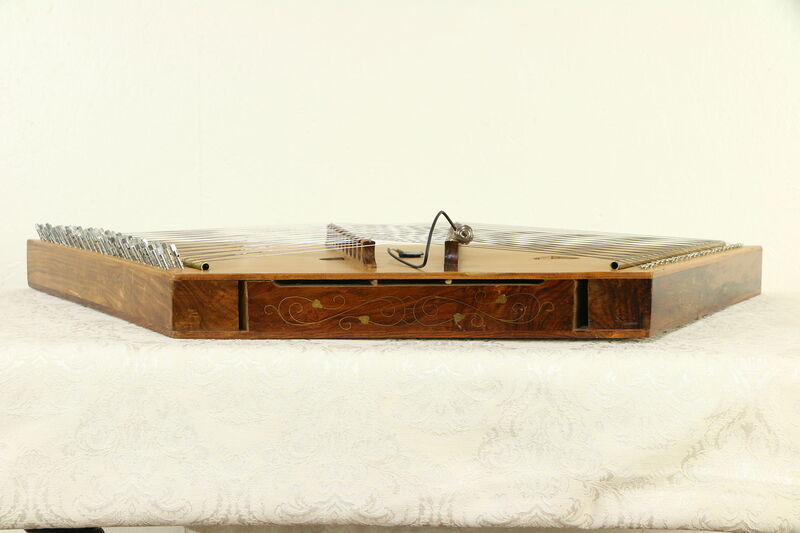 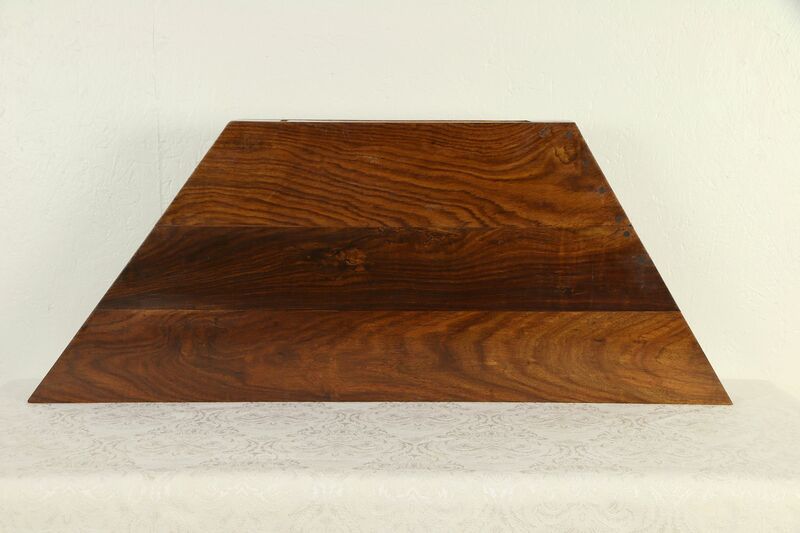 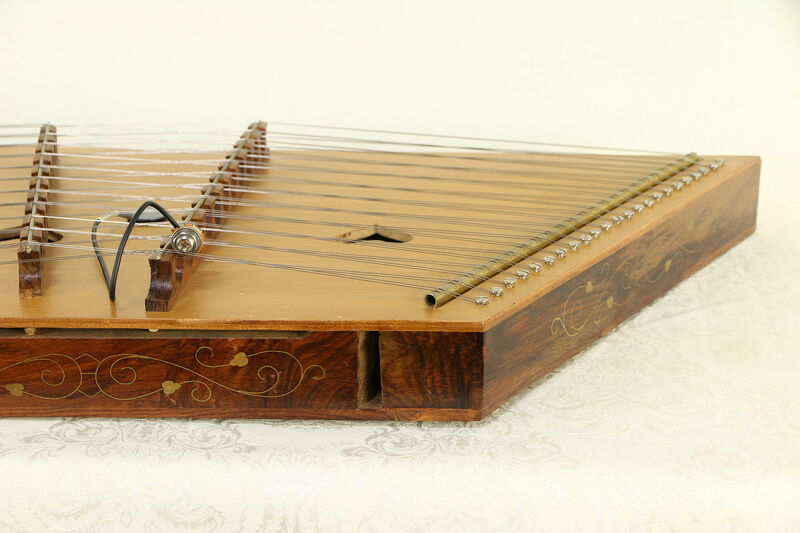 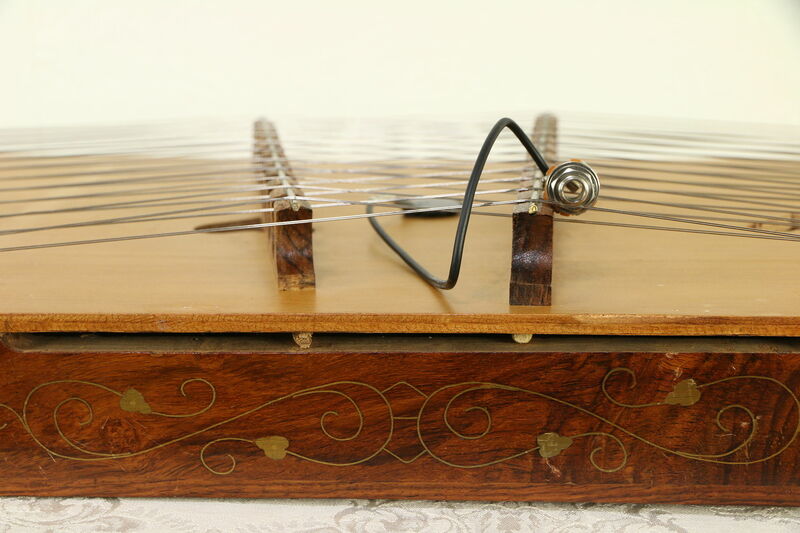 The soundboard is spruce and the base is genuine rosewood with brass inlay work. 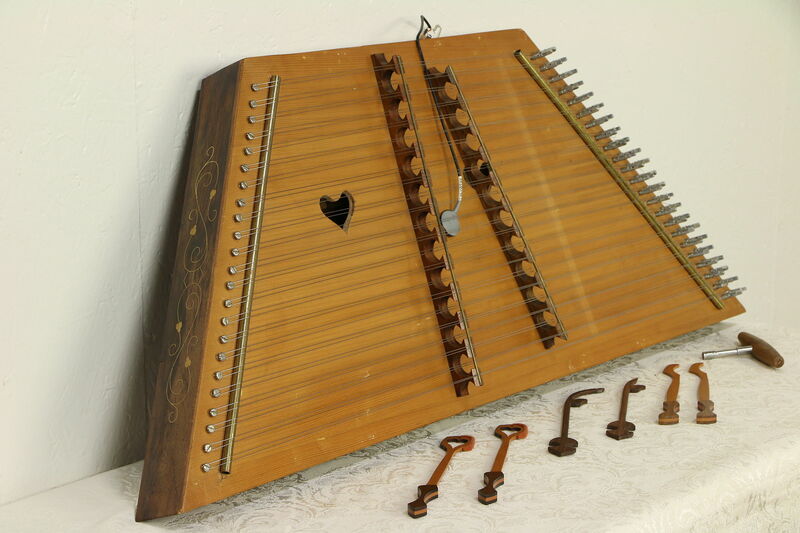 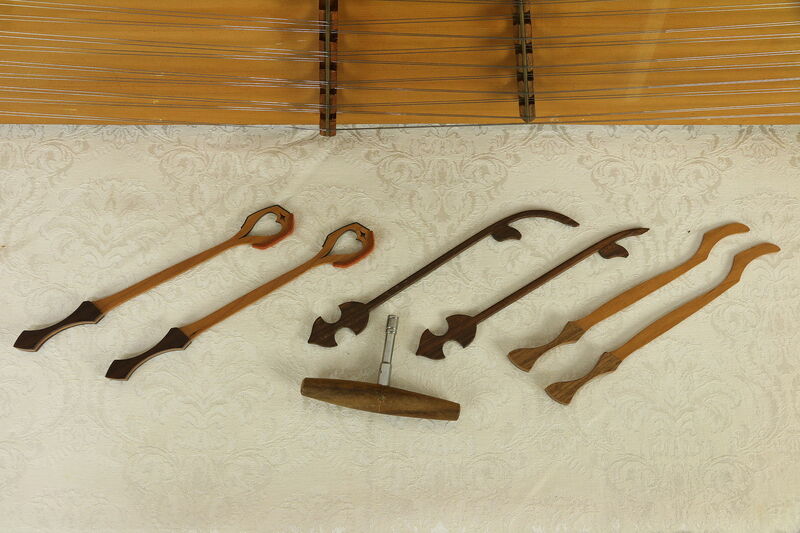 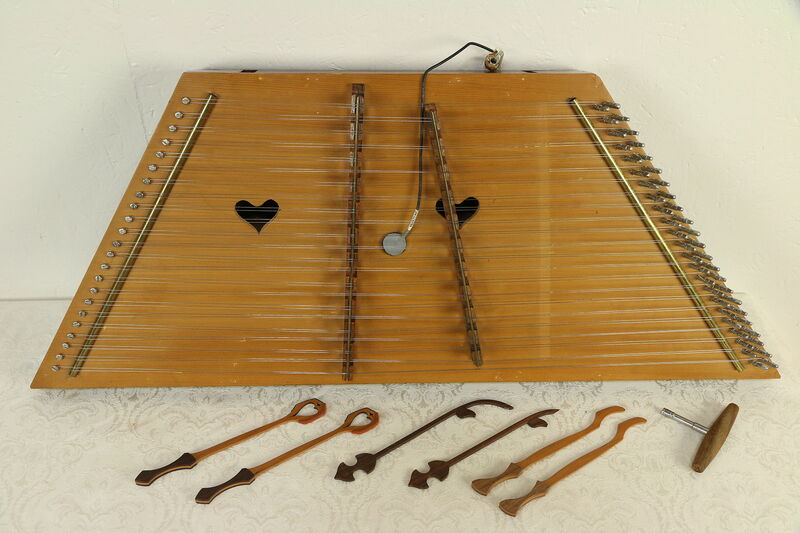 Hammers and a tuning key are included with this musical instrument as shown. 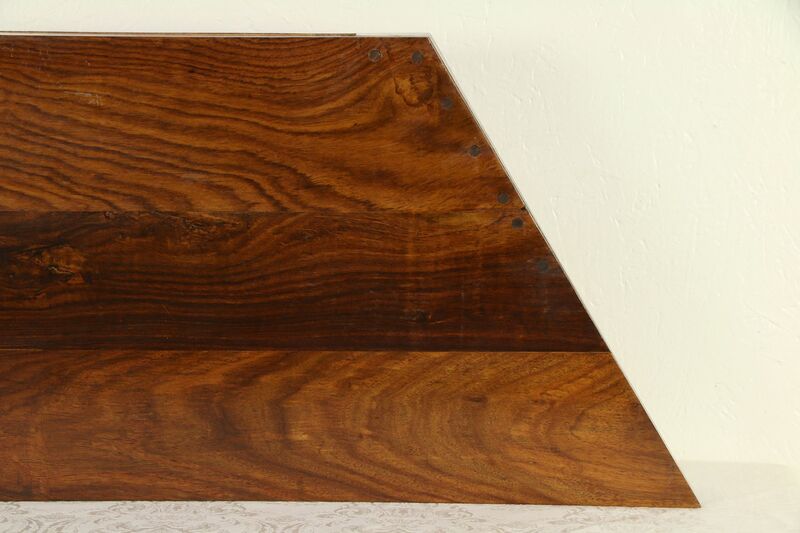 The original finish has minor scratches as shown. 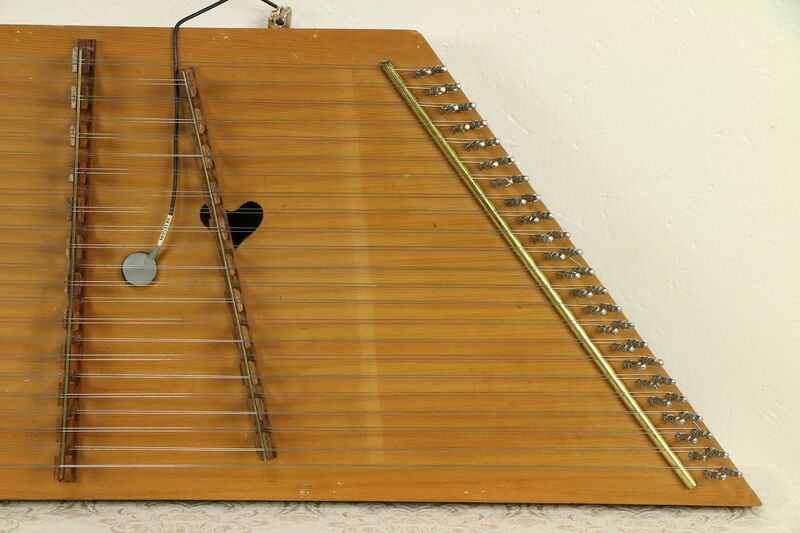 There is a partial electronic pickup attached to the soundboard. 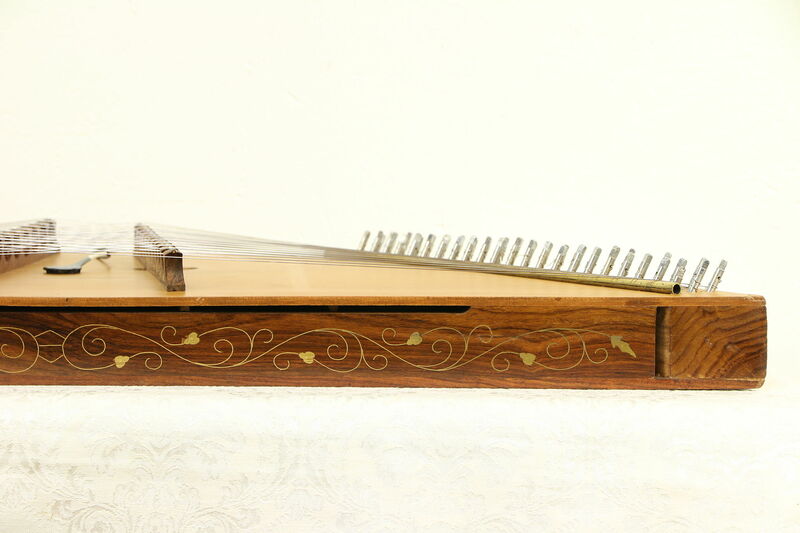 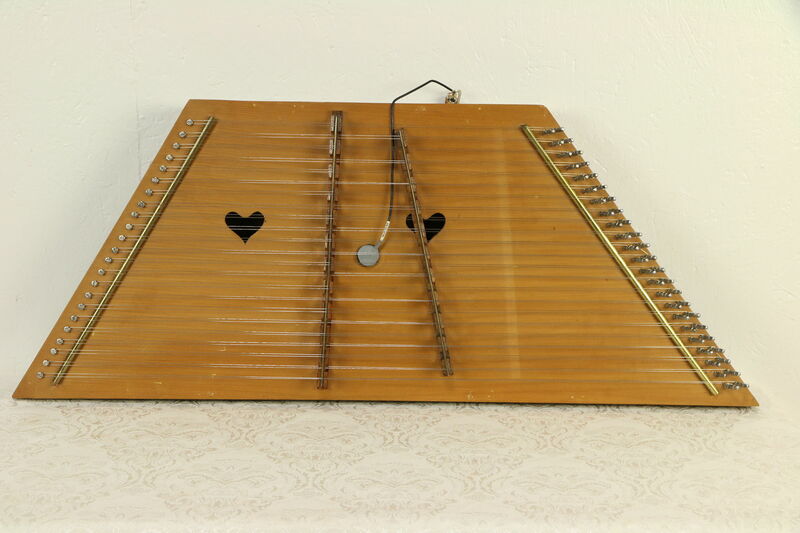 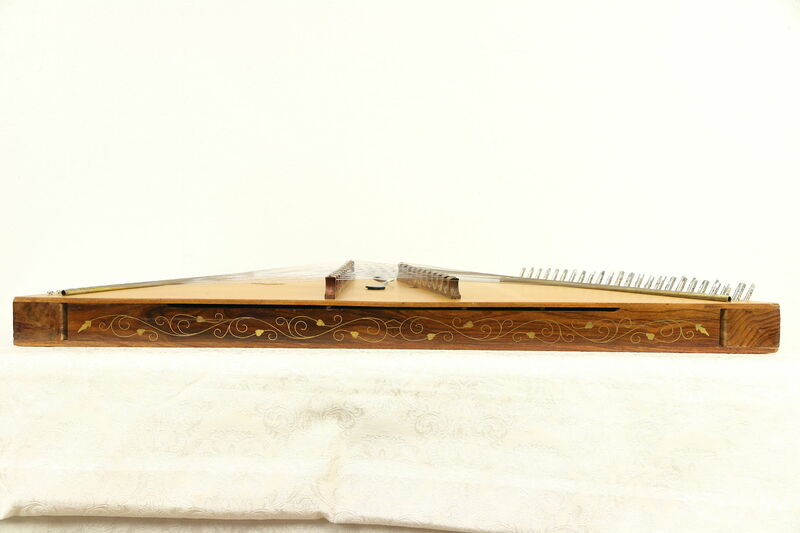 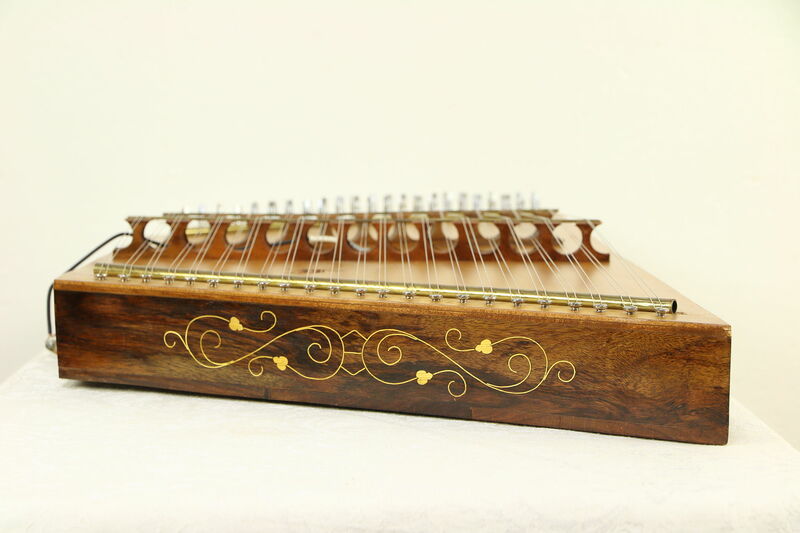 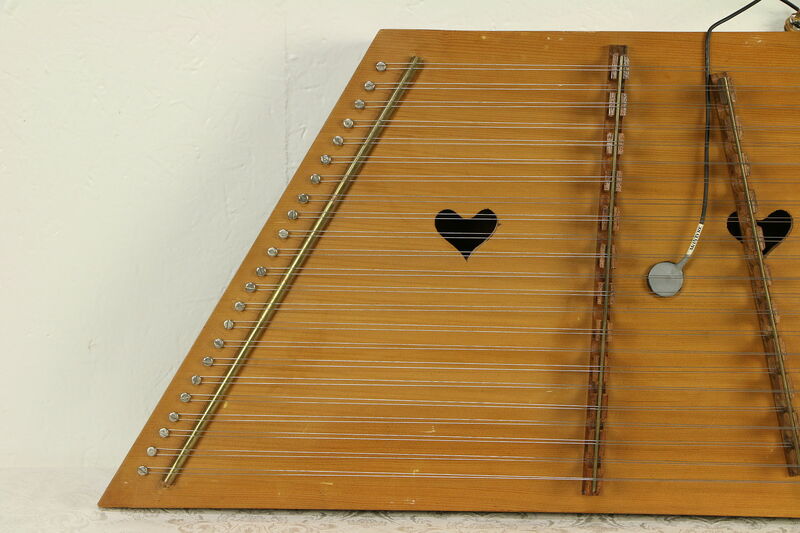 The dulcimer is not tuned, and we have no idea of how to tune them. 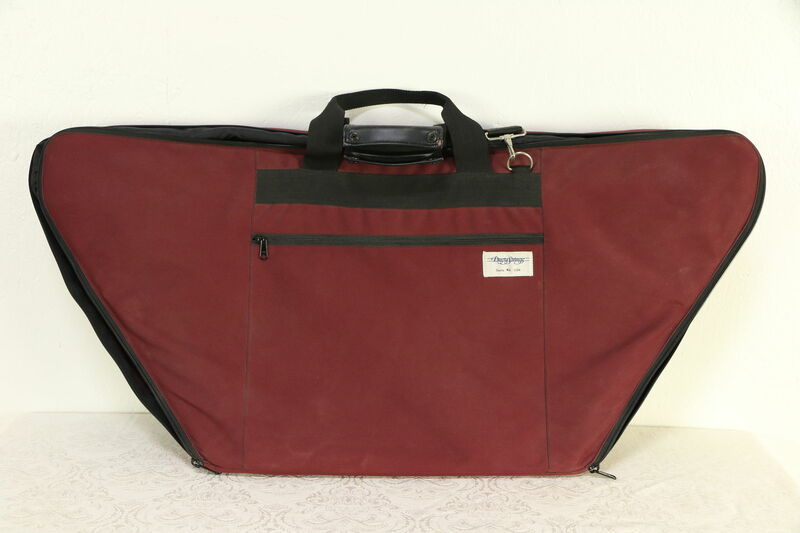 Size is 37" long, 15" wide and 3 1/2" tall, the case is 39" x 18" and 4" tall.